The 1991 star-studded fantasy-adventure is getting a 4K upgrade this October. 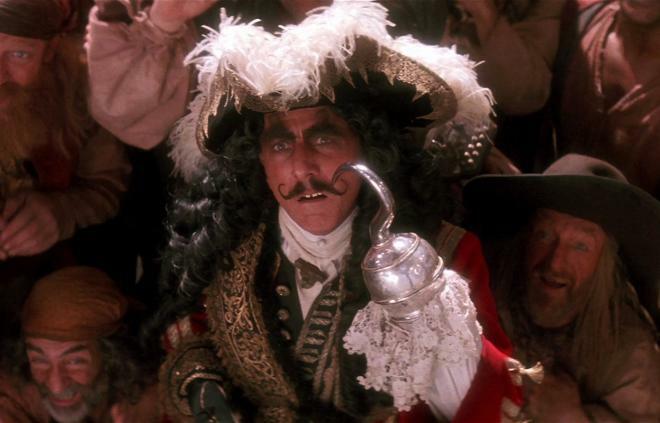 In an early announcement to retailers, Sony is preparing Hook for 4K Ultra HD Blu-ray on October 9. The release will feature a 4K RESTORATION FROM THE ORIGINAL CAMERA NEGATIVE, with approval on the 4K High Dynamic Range master from director Steven Spielberg; 11 Never-Before-Seen Deleted Scenes; and a Dolby Atmos soundtrack. You can find the latest specs for Hook - 4K Ultra HD Blu-ray linked from our 4K Blu-ray Release Schedule, where it is indexed under October 9.